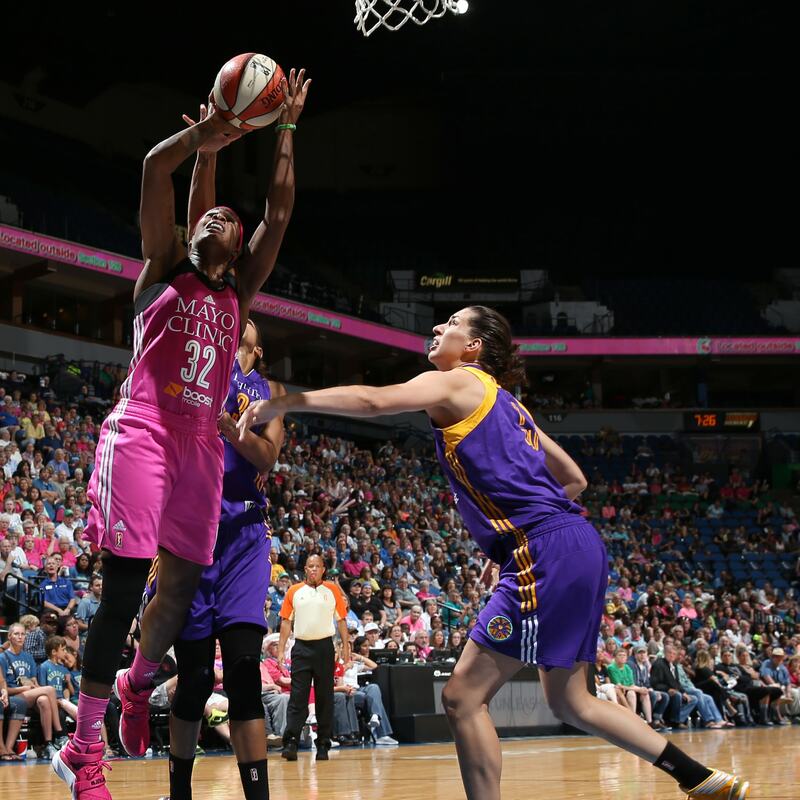 The Minnesota Lynx took on the Los Angeles Sparks tonight seeking to avenge their loss to the Sparks last Wednesday in Los Angeles. 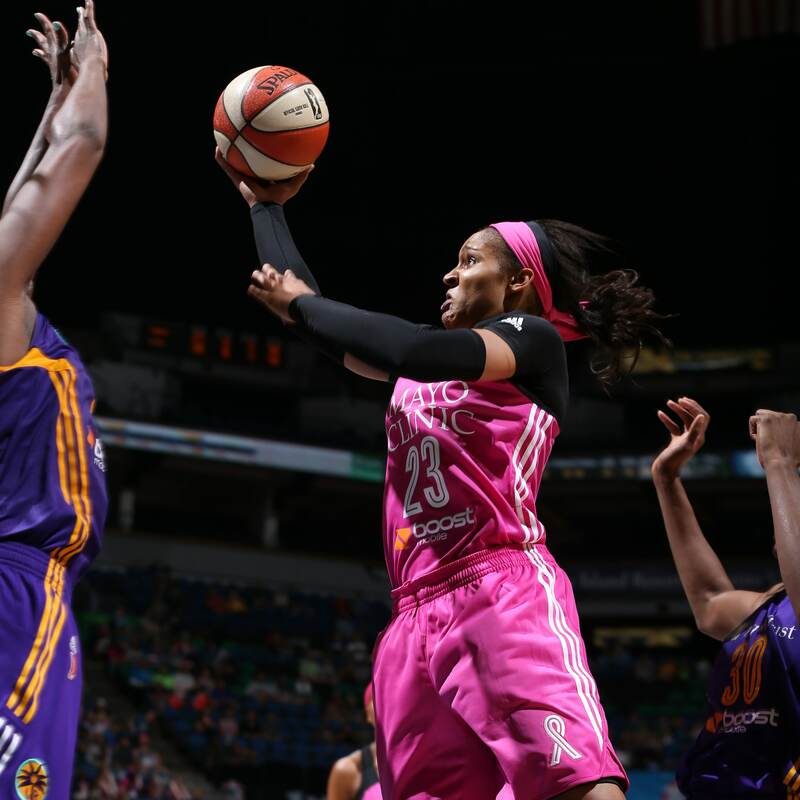 In Wednesday’ game, the Sparks dominated the Lynx in the paint and defensively. Tonight’s game was a completely different story. Yes the Lynx still shot a fairly low percentage from the floor (39.4 percent, to be exact) but the Sparks shot a lower one (38.7 percent, also, to be exact). The Sparks scored 54 points in the paint in the game last Wednesday night; tonight, they mustered just 24. The Lynx looked like a completely different team since last playing a talented Los Angeles team and they came away with the win, defeating the Sparks 72-64. There were many great moments from Minnesota’s (almost) nail-biting victory, but here are just some of the best photo’s capturing tonight’s action. Sparks guard Alana Beard was held to a very quiet night against the Lynx. Beard finished with just two points on 1-of-3 shooting (33 percent) in just eight minutes of play. 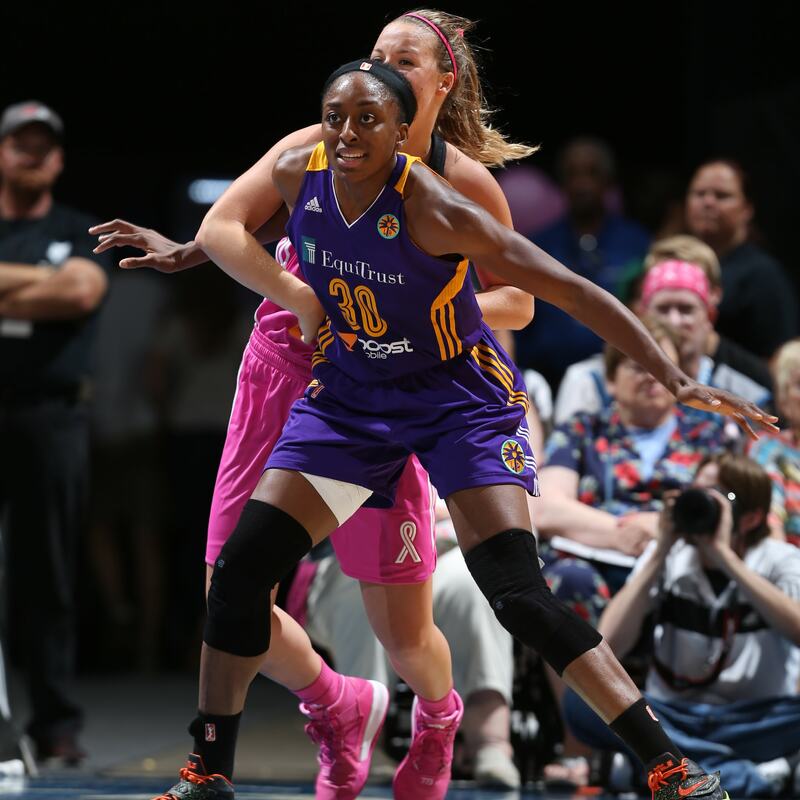 Sparks forward Nneka Ogwumike did her best to lead Los Angeles to a win, but fell just short. Ogwumike had a team-high 18 points to go with her five rebounds. 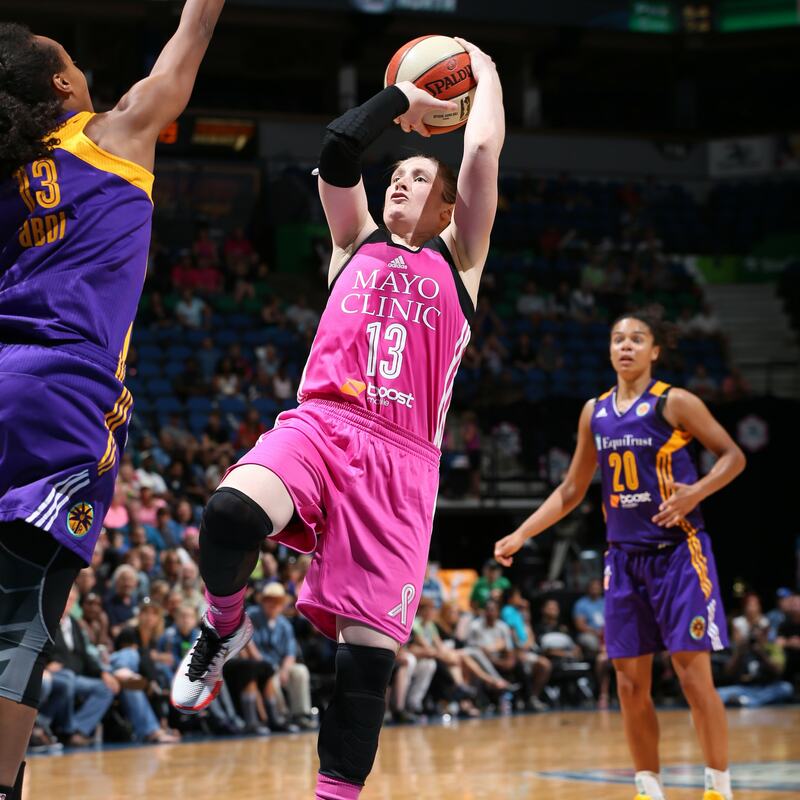 Lynx guard Lindsay Whalen quietly dropped 10 points on the Sparks, helping guide Minnesota to a 72-64 victory. 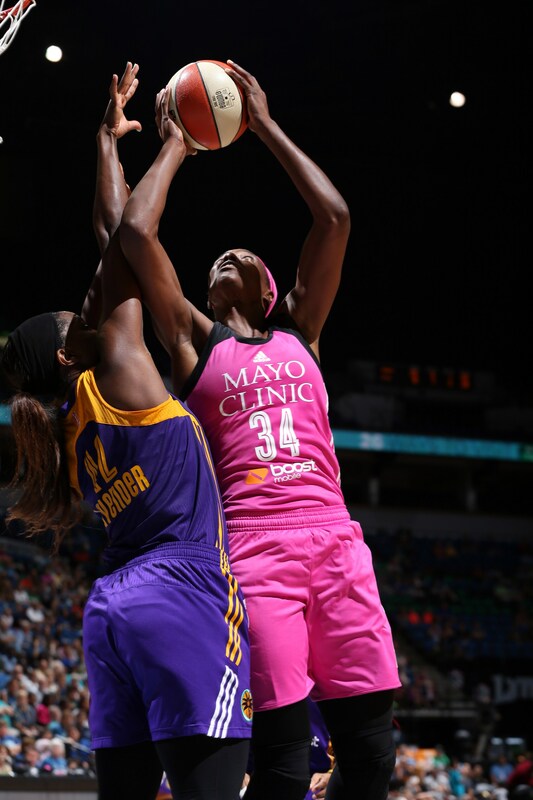 Lynx forward Devereaux Peters povided huge minutes off the bench for Minnesota, finishing with seven points, eight rebounds and two blocked shots in just 16 minutes of play. Lynx guard Anna Cruz failed to get going offensively, finishing with just four points on 2-of-6 shooting (33 percent), but played great defense and helped to contain the Sparks’ dangerous guards. 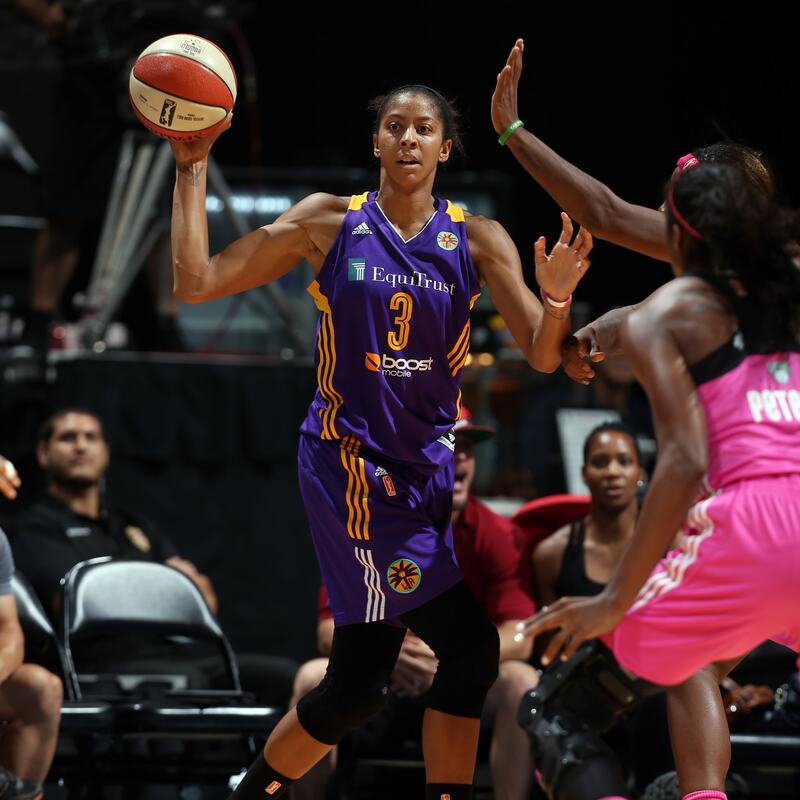 Sparks forward Candace Parker continues to do it all for Los Angeles, helping her team in multiple areas every single night. 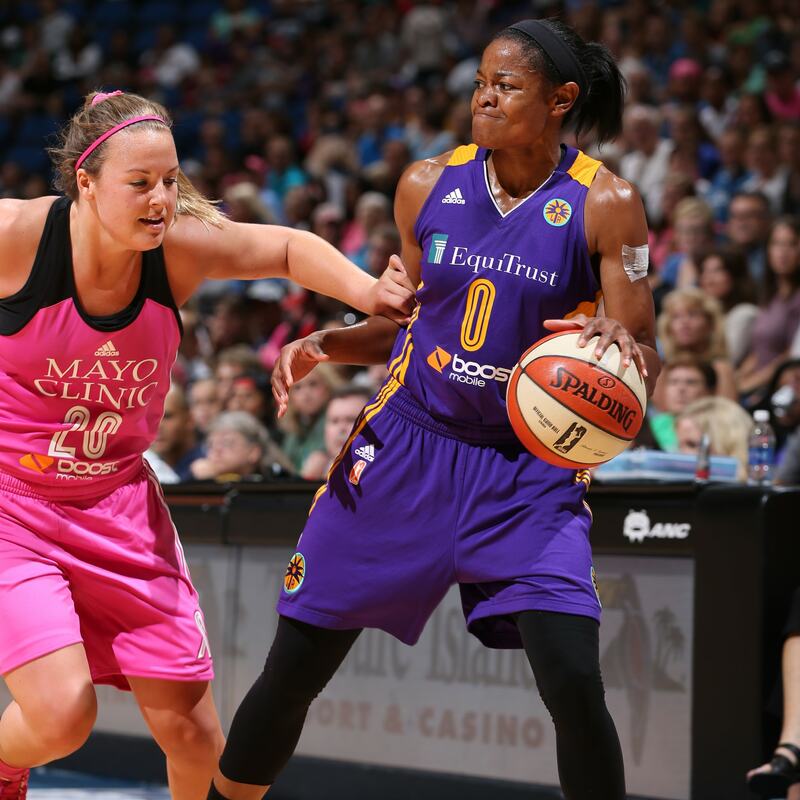 Against the Lynx, Parker finished with 10 points, eight rebounds, six assists, two steals and three blocked shots. 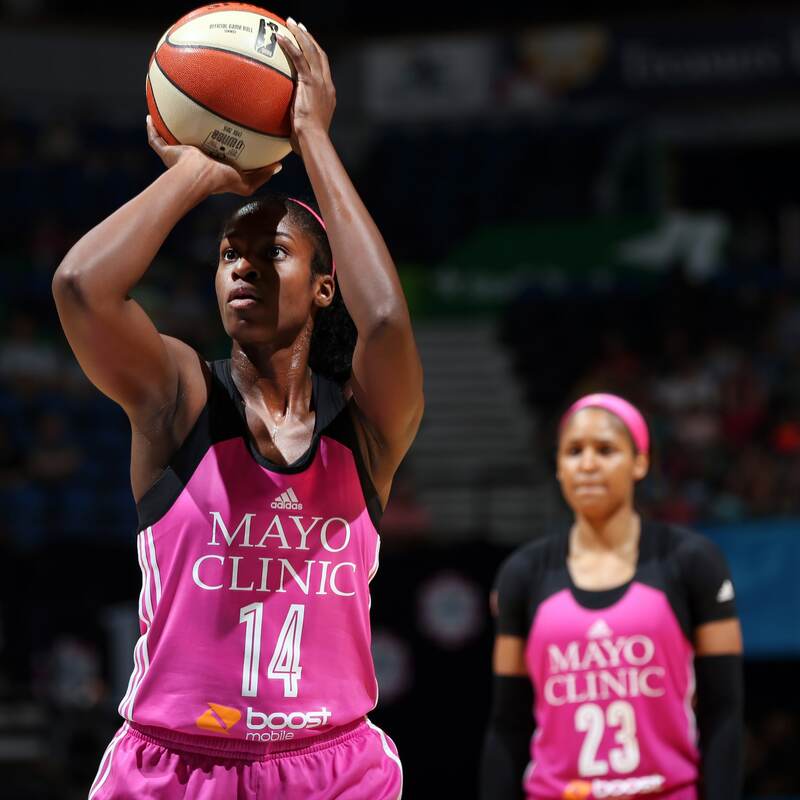 Lynx forward Rebekkah Brunson had a solid game against the Sparks, finishing with 10 points, six rebounds and two steals in the Lynx victory. Sparks center Jantel Lavender has given the Lynx fits all season long and tonight was no exception. Lavender finished with 13 points and eight rebounds. It was the only game against the Lynx this season in which Lavender did not notch a double-double. Lynx forward Maya Moore is back to her 20 point ways, scoring 20 points tonight against Los Angeles. Moore also added five rebounds, two assists and two steals. 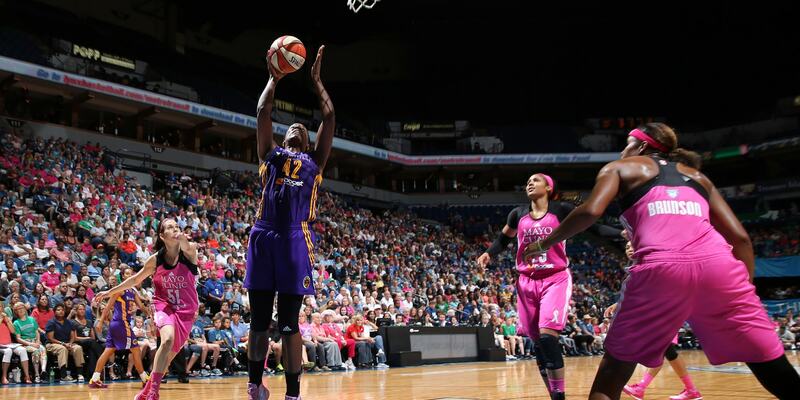 Lynx center Sylvia Fowles is a huge reason for Minnesota’s victory tonight (yes, both literally and figuratively. She’s 6’6. I wouldn’t face her in the post). Fowles finished with 15 points and nine rebounds, including six points and four rebounds in the fourth quarter to fuel Minnesota to a win.